Previously, on MinerBumping... The siege of Gelhan continued. As their morale reached a new low, the local miners faced a difficult choice: Collaborate with the New Order or risk the loss of all mining income. Agent Kalorned investigated each of the miners to determine their true intentions. steve mcloud claimed to be Code-compliant, but he was caught in the act of illegal mining. Now there was nowhere to hide. steve revealed his true self: A rebel carebear--one who sought to retaliate against Kalorned and his indomitable bumping Orthrus. But steve died instead. Resistance never works against the New Order. The next day, Mission Ready Mining member Lurswena Ice encountered a shocking sight: Agent Georgia B Dixie was bumping miners in the Akeva system, one jump from Gelhan. As a refugee from the neighboring system, Lurswena was deeply triggered by the experience. Georgia saw nothing wrong with bumping a miner one jump from her home base. After all, another Agent had things under control in Gelhan proper. Lurswena didn't see it that way. She'd assumed Akeva would be a safe space. Maybe the Akeva system could've been a sanctuary for Lurswena--if she obeyed the Code, that is. But she didn't, so she had to relive the nightmare of being bumped out of mining range all over again. The Akeva miners were outraged by what they saw as an incursion by a Gelhan bumper. 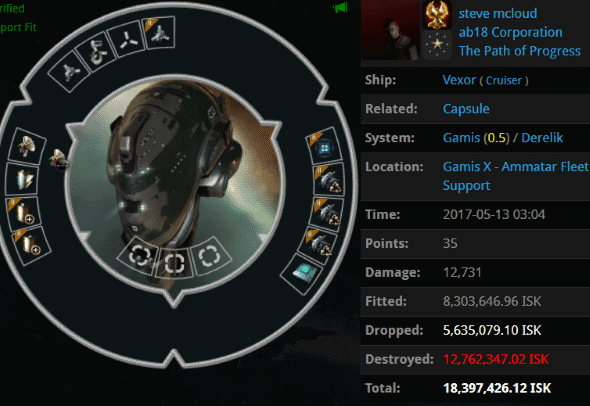 They threatened to petition CCP. By now, though, Georgia was bored of such threats. For the Gelhan refugees, there was no longer any point to mining in Akeva. As long as bumpers were going to be in both systems, they figured they might as well return home. ...However, Agent TheInternet TweepsOnline TheInternet was already hard at work bumping in Gelhan. Slypher Hekki, who had just moved his things back to Gelhan, challenged TheInternet's right to bump there. Gelhan wasn't his true residence. Slypher wasn't sure where TheInternet was from, but he was definitely a foreigner. All of the arguing was pointless. If you're in highsec, you live under the Code. No exceptions. By now, Tyrax Iceheart was burned out. The last straw was TheInternet's dramatic declaration of eternal Code enforcement in the entire Derelik region. Now one question remained: What does a highsec ice miner do when he's completely fed up? This could turn into a great Netflix Original Series! It's already been renewed for Season 2. Can confirm, Season 2 production is underway. anonbear6:28, you seem to have the wrong blog. This blog is for The New Order and the CODE. alliance. The New Order and CODE. were both founded by the Saviour of Hisec, James 315. If you want to anonymously let a lot of people know how you wasted your time and energy mining in hisec, try writing an article on the hisec militia blog that no one reads. Sure you are, Anon6:28. And I'm sure that you actually play EVE, and you drive jump Freighters thru Uedama every Friday, and ..and...oh, yeah, nobody believes Anons because Anons are all cowards and liars. 628sperg is a lying PHag. Other than new players, who would brag about mining 1 bill in a 0.9 or 1.0? Hahahahaha let him keep it. Too retarded to get the point. The joke is actually on you. You literally are cancer in need of radiation. Yes, I am afraid of CHODE. That's why I take smart steps in order to avoid them. That keeps my profit margins higher. Because we all know "mining permits" are a fantasy. Jamey's CHODE. slaves will gank you whether you have one displayed in your bio or not, it just depends on how bloodthirsty they are at that moment. Agent Tweeps is my favorite! I hope they'll beg for a permit at the end! The ammount of stupid and ignorance coming from those highsec carebears is staggering. Still trying to petition folks for harassment because they are playing correctly? Those useless shitters can all get rekt. GTFO of EVE you soft-skulled PHags. Inc IRL threats because someone is too chicken to do more than mining rocks in their spare time. If you need relax time then protip: don't sign up a for a pvp game, a fairly unforgiving one at that. Amazing how a 2800 person corp is so powerless against the might of The Code! The Code always wins!